Cool! I have backed the kickstarter also. Commenting in support of your awesome giveaways, not to win again so soon. Love that cat. Thanks for offering another great giveaway. Fingers crossed. That's sweet loot. I'm in. 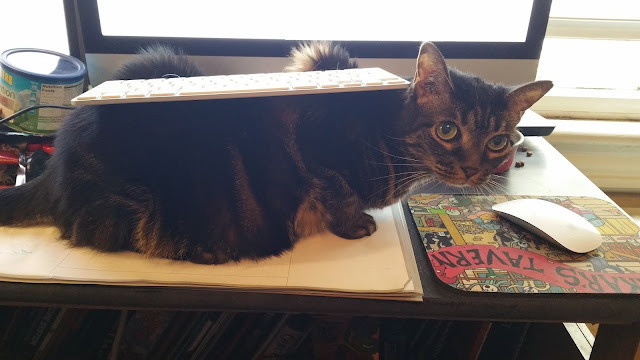 Also what cat would let you put a keyboard on them and then stay still long enough to take a picture of it? You ARE a great and powerful wizard your worshipfullness. Does the cat come with it? Here's to winning free stuff, hopefully. I'm not easily bribed. But, that will do it. Not from the US, but might as well try for that certificate. What the heck. . . . After the last 24 hours I've had, I'm in. I'm not a cat person, but that cat is adorable. Good luck everyone (but I hope I win)! Yup, you drove me to the Kickstarter with an earlier contest. Would love the Black Hack in print. Great give away for a great weekend! 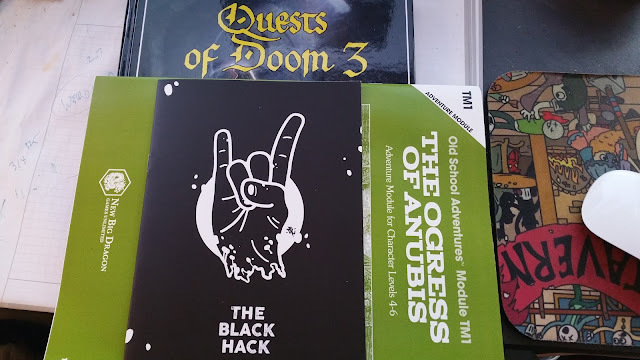 I'm not sure I'm metal enough for the black hack but, dang it, I wanna try it anyway . . . I'm n. Thanks for all you do for the OSR. Those look interesting. I ran a couple Black Hack games and that was a blast. I'd like to give the back hack a try! These sound bloody great- just what I need to kickstart my game (geddit? )- now to go visit the Kickstarter! Always can use more ogress themed adventure. Count me in.